Looking for some for the best travel website design ideas for your next creation? I’ve hand-picked some of the most inspiring and intriguing designs from all over the world. These range from tourism websites to travel guides to airline booking engines. Enjoy! 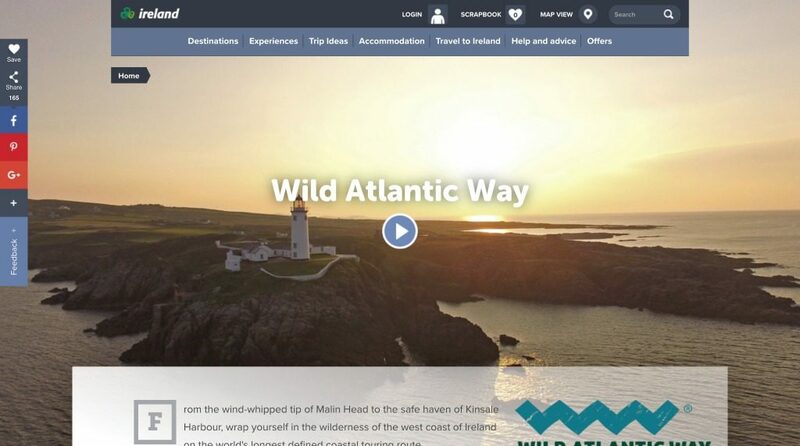 The Irish website features strong visuals with a rich mega menu that makes it powerful for captivating the visitor’s attention while pointing them in the right direction. The triggered background overlay is a beautifully subtle touch that helps focus attention on the content as the visitor scroll down the page. These features are all brought together with consistent branding and styling. 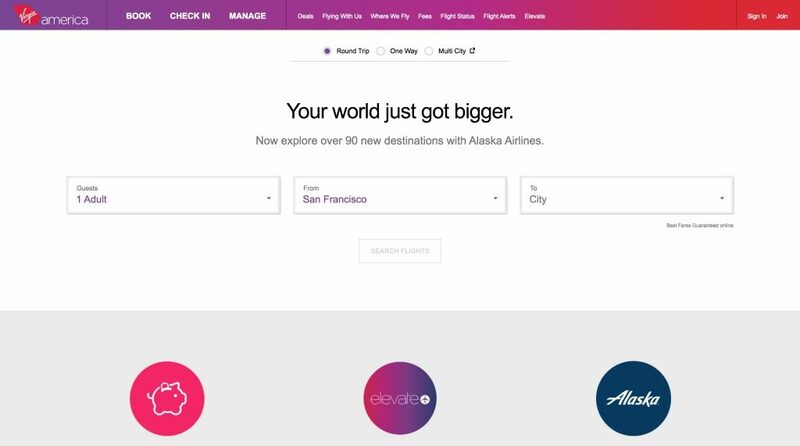 Airline websites are usually a cluttered mess. Virgin, known for breaking the mold, created this minimalist design that is dead simple. The options are easy to digest quickly and planning a flight couldn’t be easier. 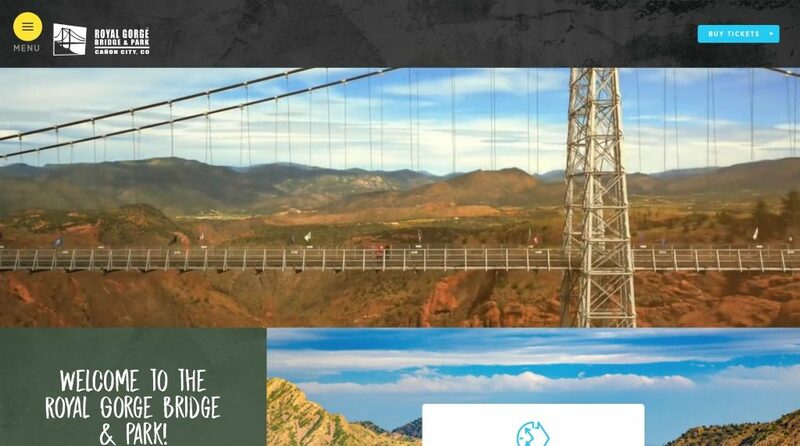 The Utah tourism website leads a strong visual and a clear message. The top navigation keeps it simple by only including the main calls to action for a visitor. As you get deeper into the site, the focus on beautiful imagery continues to draw the visitor in. 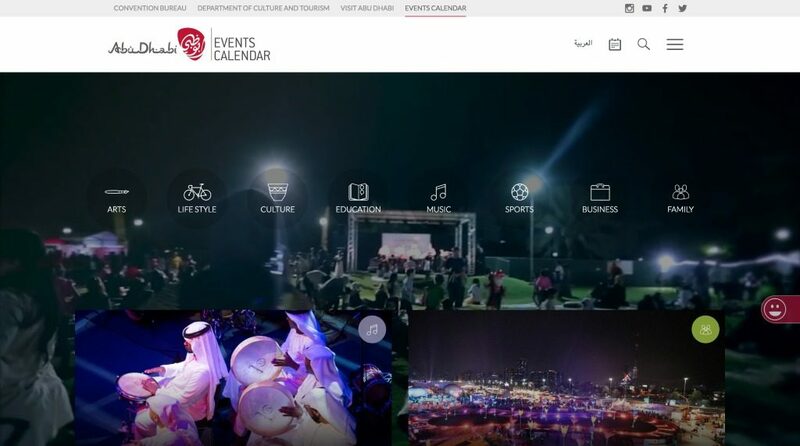 Abu Dhabi makes an events calendar really come to life! The background video, simple category layout, and recent events makes it easy to find an event quickly. The full-screen overlay for the search function is also a very nice touch. 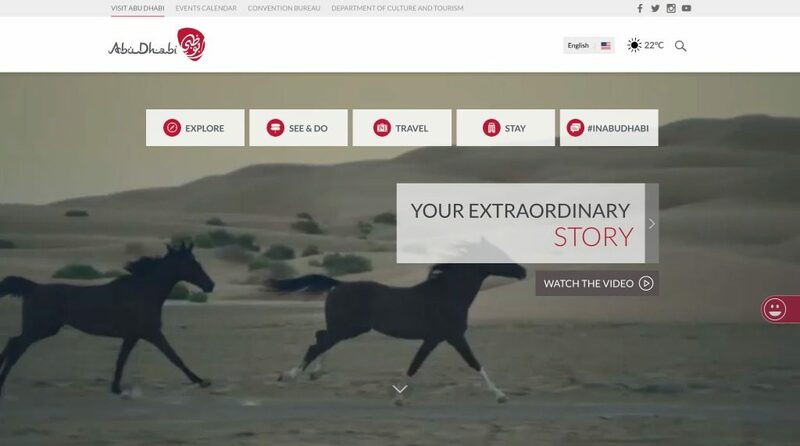 The sister site to the previous website, Visit Abu Dhabit has eye-catching video along with a front-and-center navigation. It is a different approach to move the main navigation to be the main focal point of the homepage but it makes sense. The homepage is often a master navigation for a website so why not make the menu more prominent? 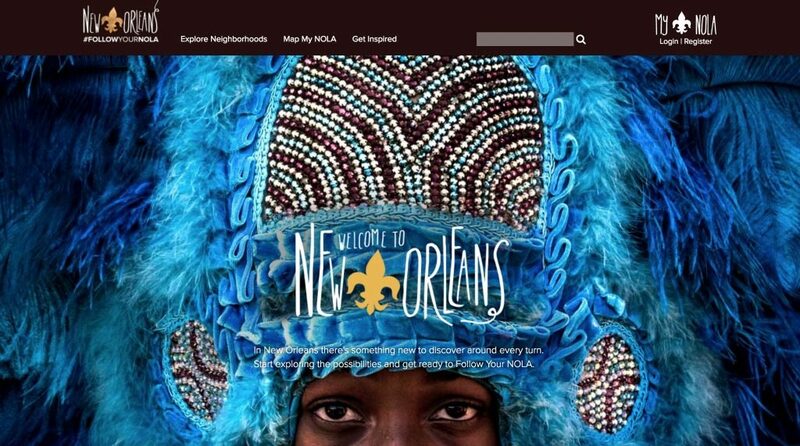 The design of the New Orleans tourism website features a lot of microinteractions to engage the visitor. From the trip planner to the icons, there are little animations at every turn. It isn’t very often that you see a navigation menu have two submenus and not feel cluttered. The dropline menu for the “Map My NOLA” portion feels very clean and intuitive to quickly find things quickly. The bonus search functionality is a nice added touch for those looking for something specific. 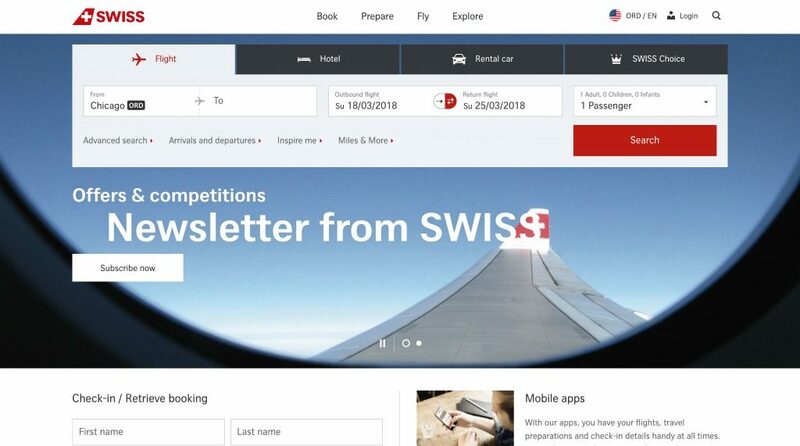 It’s almost unbelievable that two airline websites would make the list but, like Virgin, Swiss has a beautiful user interface. The layout is immediately intuitive to any visitor. 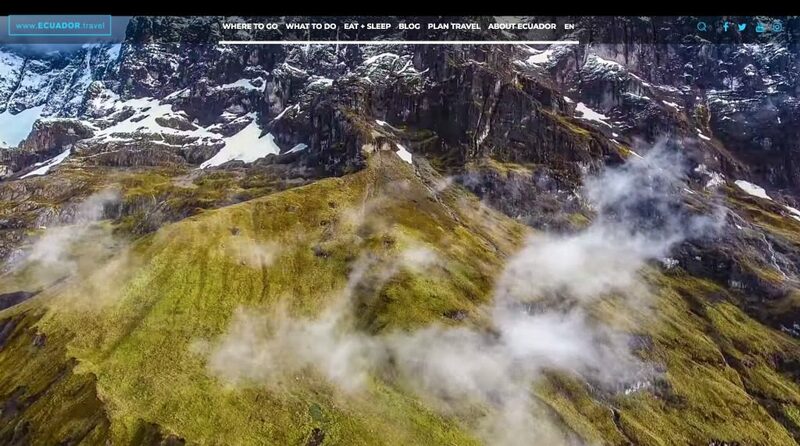 This top attraction leads with a stunning video but it is the more subtle design elements that intriguing. 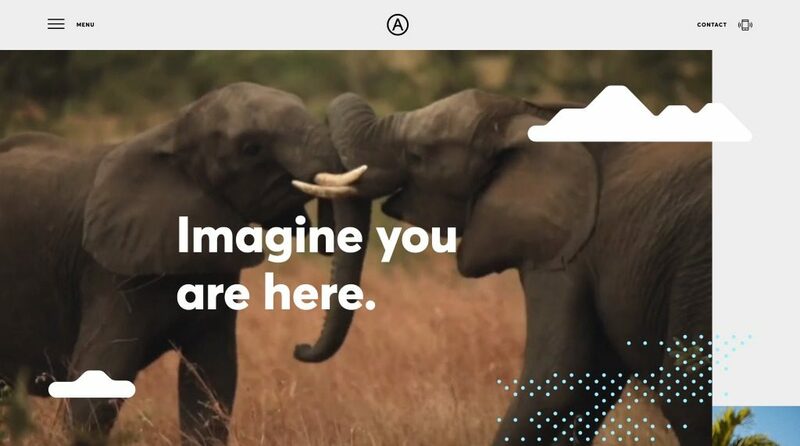 There are some very cool animations when hovering over the attraction image at the bottom of the homepage. I could play around with this section all day! 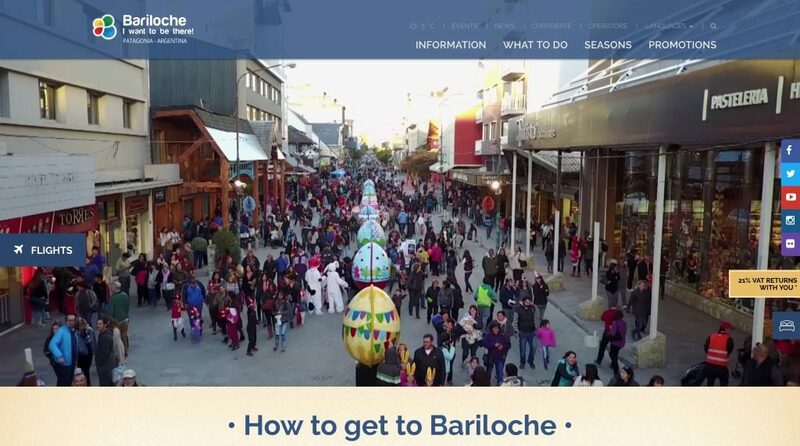 It is easy to focus on the stunning imagery and videos for the Ecuador Travel website. However, what I love about this site is its focus on social proof. Many of the tourism sites tout their attractions and accommodations but don’t back it up with social proof. This website features TripAdvisor reviews, a curated social stream, and an acknowledgement section for awards. This travel agency website of Taiwan utilizes a layout that keeps all of the content in the viewport (i.e. no scrolling). The visitor can interact with the homepage through multiple slide-in menus and paging through imagery. There is a lot going on with the homepage alone. There is an interactive map with custom graphics, the menu features rich media, and multiple feeds of the latest activity. 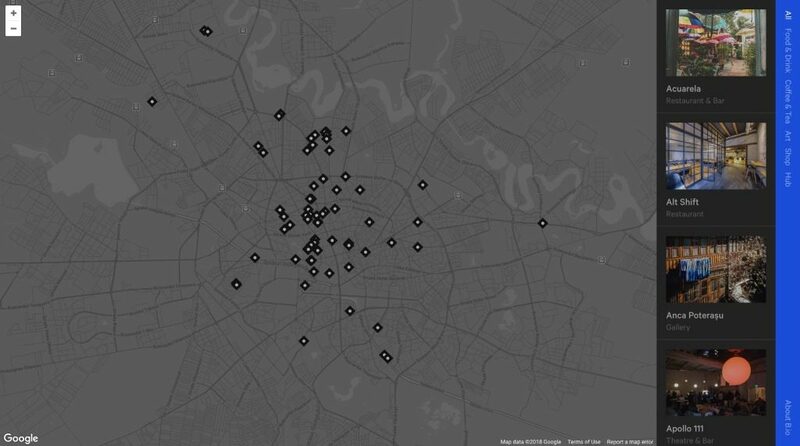 The Bucharest Travel website is wholly focussed on the interactive map. 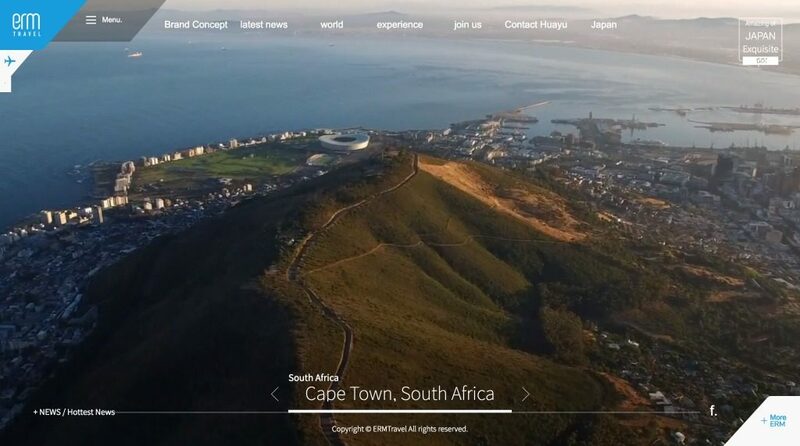 It is designed to display entirely within the viewport while allowing the visitor to filter results, find new attractions, and learn more about the area. There is a lot to love about the Australian website, Antipodeans. There is an elegant blend between multimedia and overlaid graphics. Above the media, the unassuming logo swaps out for the site title on hover. As you scroll down the page, the parallax effect and bold typography helps tell their narrative. 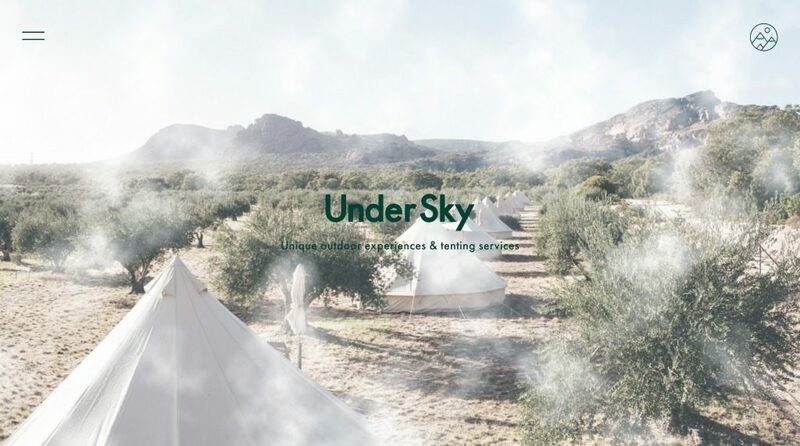 For minimalist lovers, the Under Sky website does a great job only including the bare essentials. The content is complimented with modern typography, thin icons, and plenty of white space to keep the visitor focussed. 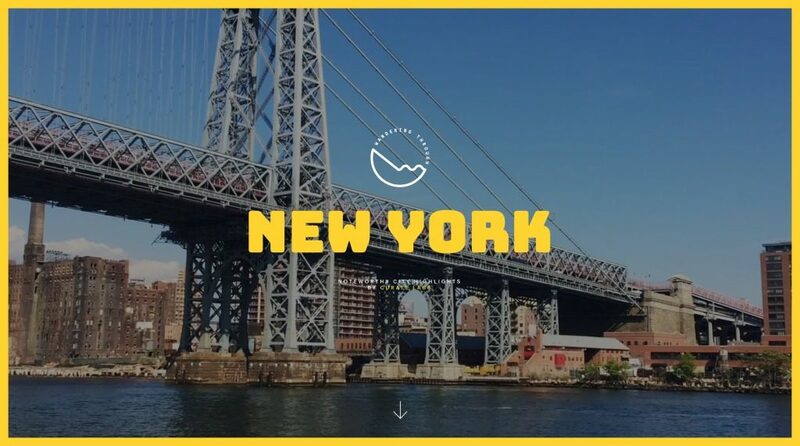 In the same vein as the previous website, Wandering Through New York keeps the layouts very clean. However, it sets itself apart through the animated route and long scroll that touches on the highlights of the city. 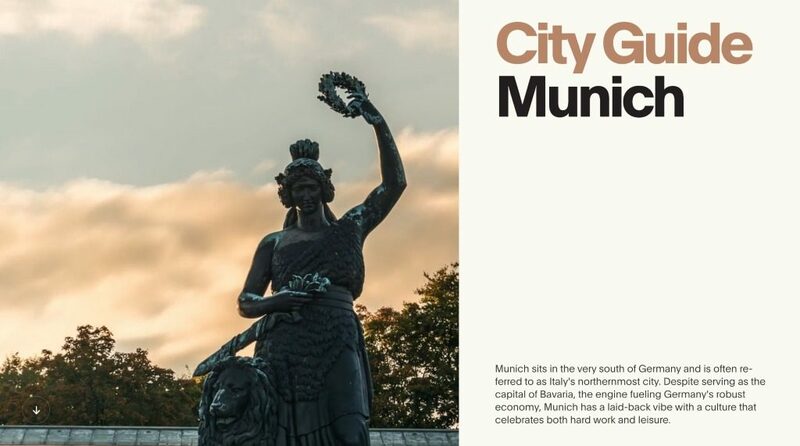 This Munich site features a long scroll design with a LOT of entertaining animations that play out as chapters in a story. This theme is carried through the design of each of the sections as well as the full-screen menu. 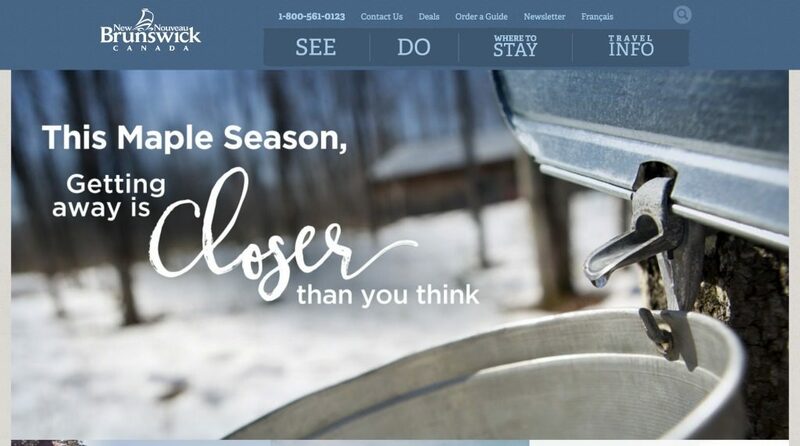 This Canadain tourism site has a quirky personality. The blend of of playful typography, paint-brush buttons, and custom graphics gives it a very welcoming feel. 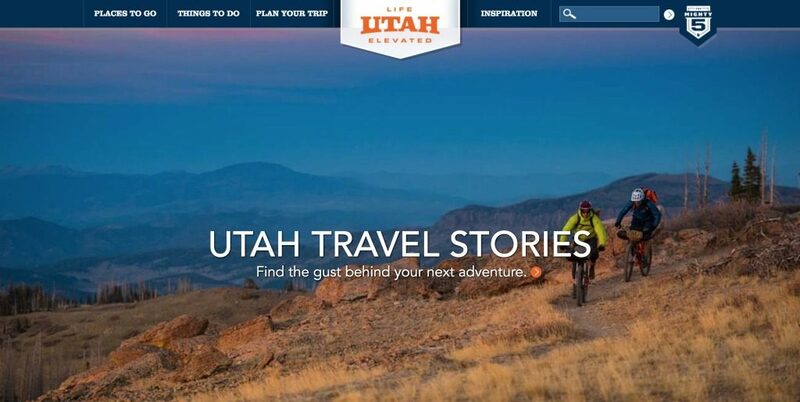 I’ve shared a lot of my favorite travel website design ideas. What are your favorites? Which ones did you like best on this list? I love writing about web design that inspires, figuring out Google's black box, and speaking to lively audiences. In my spare time, I enjoy reading Game of Thrones (waiting on Winds of Winter) and touring the lakes on my paddleboard.